This is a request from a fan. 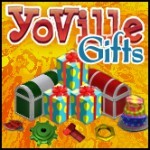 🙂 Here is a link which will allow you to gift the Mystery Egg (aka Easter Egg) in Yoville. I’m not sure how long it’ll be around so send them to your friends while you can!